I am glad to donate my hair for this noble purpose. I am lucky to have long and silky hair and it is something in our heredity. 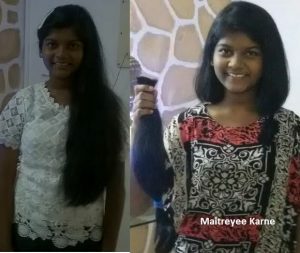 So i am sure my hair will grow again and i wish to donate again. i will encourage others also to do it. Thanks for giving me this opportunity.